Taipei, Taiwan – Oct. 21, 2015 - ADATA Lighting, a leading global LED lighting manufacturer, today announced its participation in the Hong Kong International Lighting Fair. The event is the biggest lighting trade show in Asia, taking place October 27-30 at the Hong Kong Convention and Exhibition Centre. ADATA is focusing on the “Light Evolution Unlimited – Now and Tomorrow” theme, and will take this opportunity to unveil high efficiency T8 LED tubes and bulbs, high color rendering index (CRI) Linear Lights, MR16 lights, as well as advanced LED ceiling lights with remote motion sensing technology, and modular outdoor lighting. These state of the art LED lighting products serve to demonstrate ADATA's strong research and development capabilities and distinguish it as a distinct brand dedicated to serving customers worldwide. ADATA will demonstrate its latest lighting products, reaching new levels of efficiency and natural light performance. Until recently, LEDs have been catching up with traditional lighting in delivering natural light. However, ADATA has now taken advantage of advancements in technology to provide efficient LED lighting that matches the natural color rendering of traditional lighting. Meeting the high demand for efficient LED lighting that provides advanced specifications such as ultra-high luminosity and CRI, ADATA is ready with a variety of high CRI products. At the lighting fair, visitors will be able to experience the ADATA Linear Light LED with CRI 95 and the MR16 (CRI 90) among others, which provide natural, vivid, and sun-like lighting without the eye-irritating aspects of traditional lighting. ADATA also has a selection of products for customers that demand ultra-high luminosity. 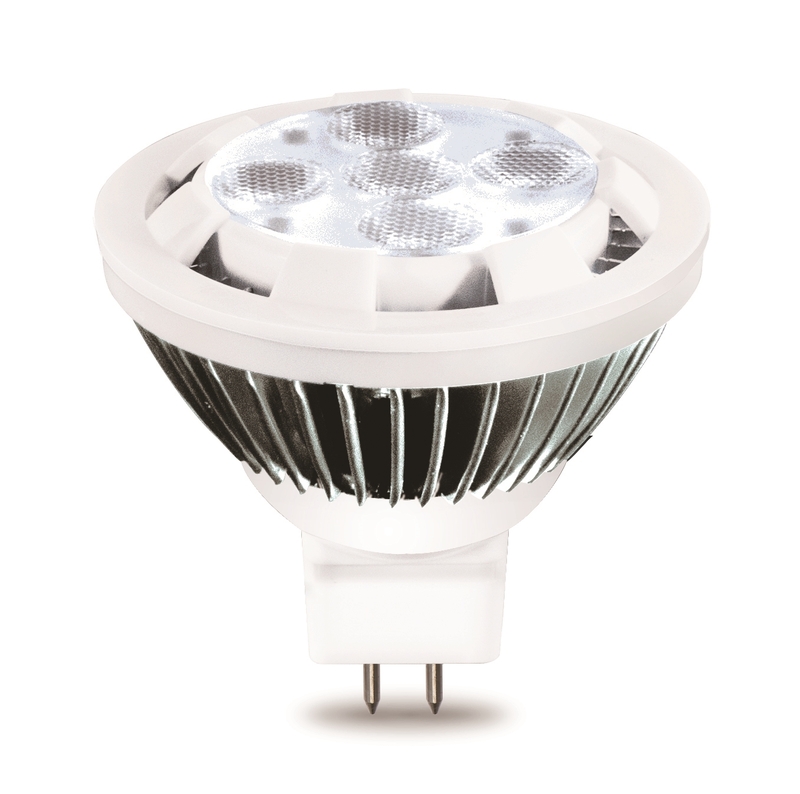 T8 LED tubes and bulbs reach luminosity of 160lm/w and 130lm/w, respectively. Their efficient power usage enables significant cost reductions for commercial users, one of the largest markets for LED lighting, an area ADATA is fully committed to and invested in. Besides pushing the boundaries of pure LED performance, ADATA has focused research and development efforts on LED lighting products with smart remote control and sensing capabilities. 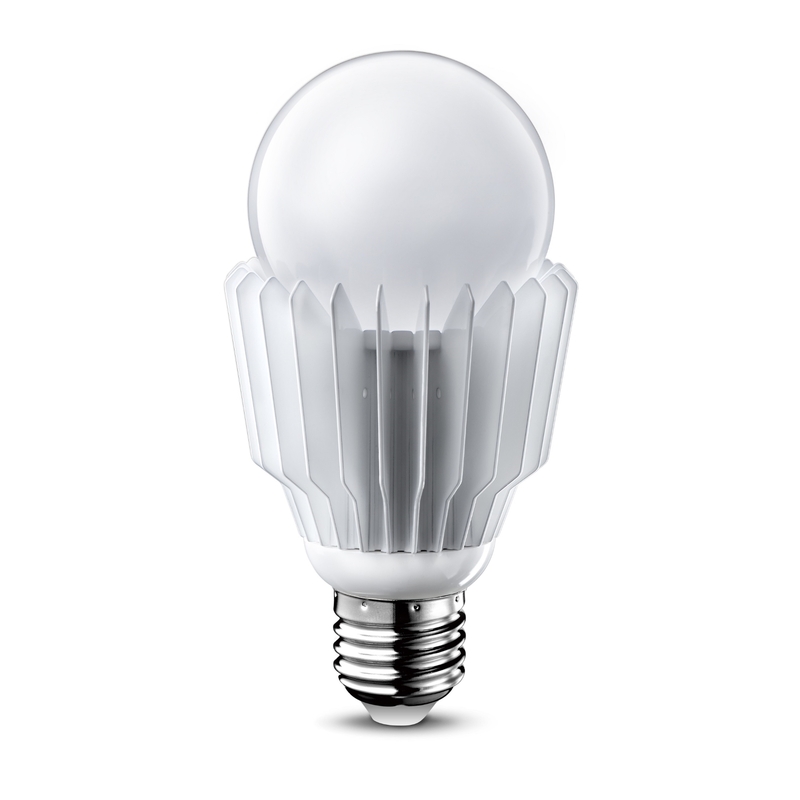 A leading product in this segment is the AURA RGB bulb, which uses low-power Bluetooth transmission to give users remote control of up to 64 separate bulbs with no additional networking hardware needed. 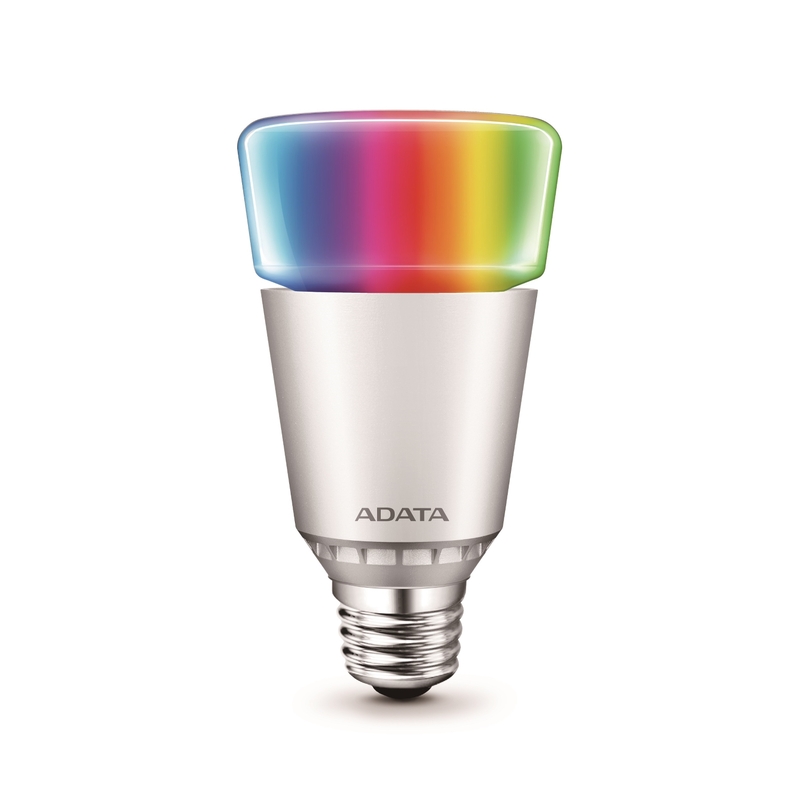 Through an ADATA smartphone app, users may control AURA bulbs from a host of mobile devices such as smartphones and tablets, enjoying the 16 million color range and the convenience of standard E26 and E27 base types. The latter also make AURA bulbs a seamless replacement for existing lights. At the Hong Kong Lighting Fair, ADATA will also have ceiling lights on display that feature infrared motion sensing. 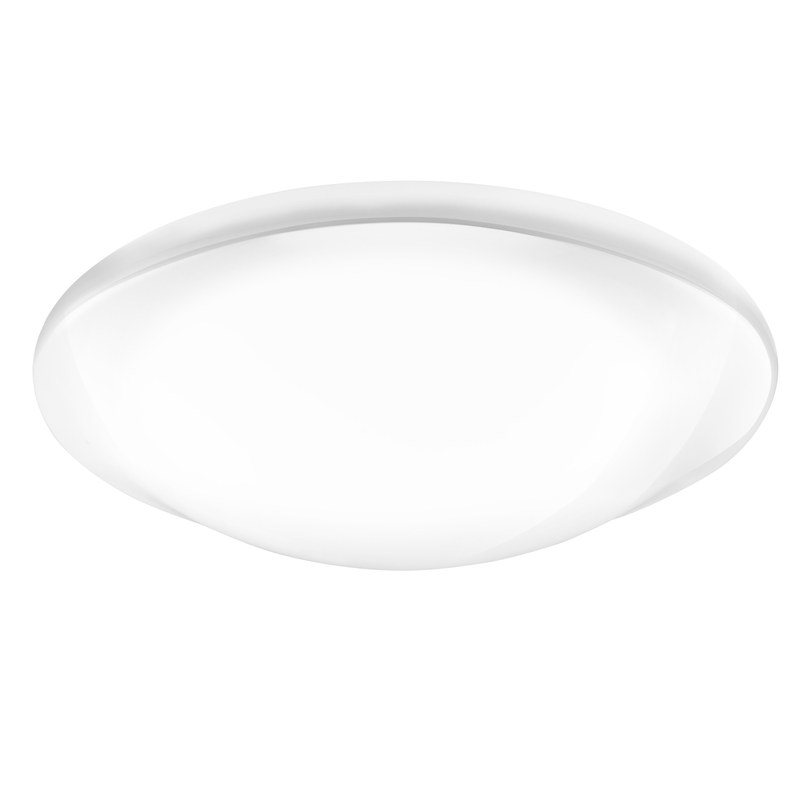 Rated for 13W and a color temperature of 6,000K, users can control these ceiling lights totally hands-free. Using simple hand waves, users can turn the lights on and off and adjust brightness from 25% to 100%. A major area of growth for LED lighting are exterior spaces, which ADATA is catering to with modular outdoor lighting products that employ high-grade optics, sturdy one-piece construction, efficient cooling for non-stop operation, and wide temperature tolerance. Durable and reliable, ADATA outdoor LED lighting products are waterproof, tested to IP65 standards for reliable operation in wet environments. They can be applied as street lighting and in patios, parks, gas stations, and tunnels, as security lighting, and more. Thanks to modular designs that can be tailored to different needs, ADATA outdoor LED lighting is adaptable and suitable for nearly any exterior placement. ADATA will also have unique RGB projection lights on display at the fair. These are excellent for illuminating building facades, billboards, monuments, street art, and commercial markets. With RGB technology and adjustable angles, light color and projection flexibility make highly creative effects possible.